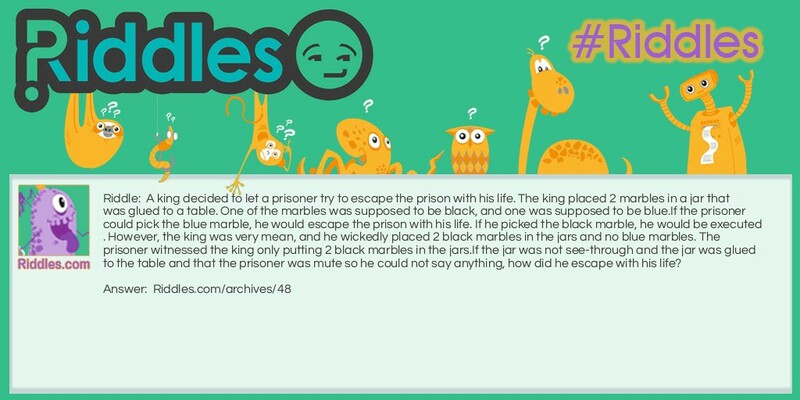 The prisoner grabbed one of the marbles from the jar and concealed it in his hand. He then swallowed it, and picked up the other marble and showed everyone. The marble was black, and since the other marble was swallowed, it was assumed to be the blue one. So the mean king had to set him free. Mean King Riddle Meme with riddle and answer page link.